WELCOME! I’m Jean, a longtime Waldorf homeschooler and mother of three. 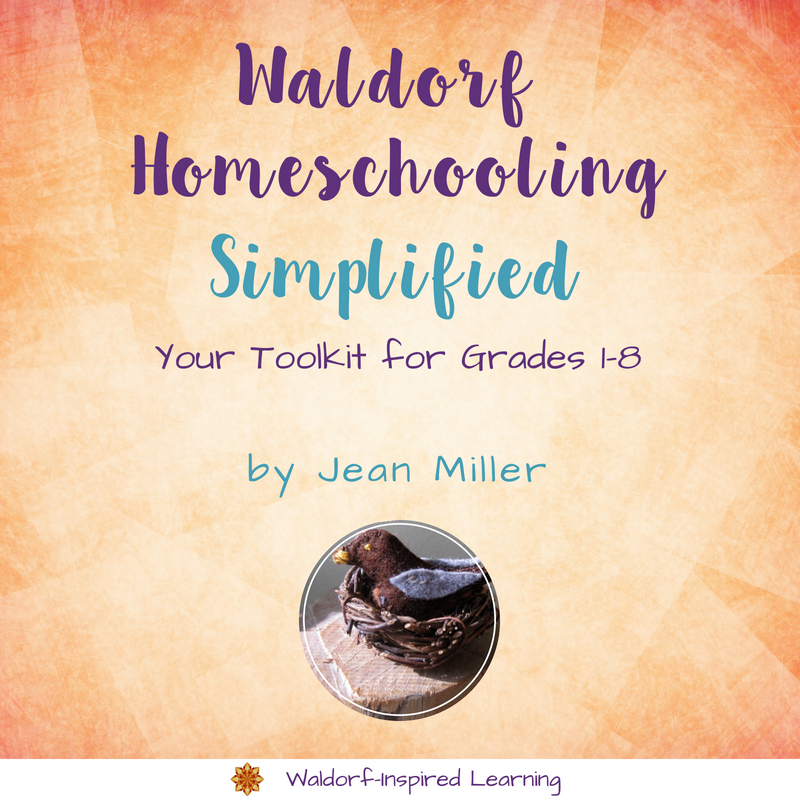 I put together this comprehensive list of resources for Waldorf homeschooling to help you navigate through the wonderful Waldorf journey. 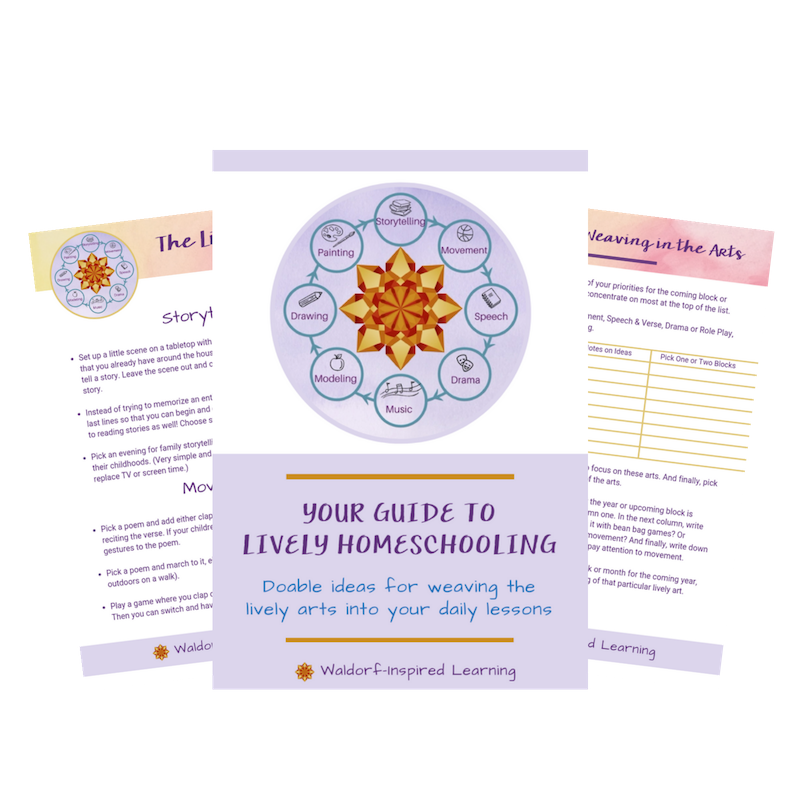 Want help creating a homeschooling plan from all the resources? 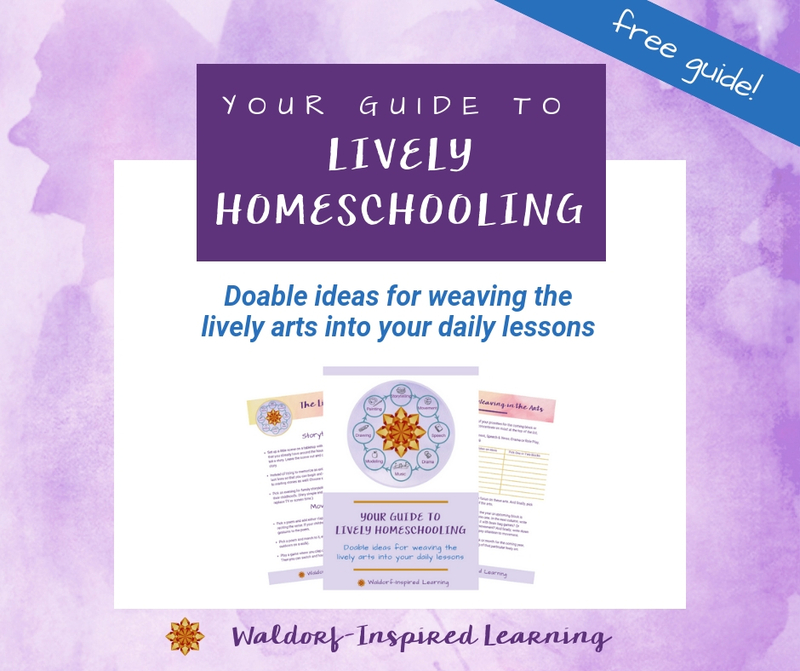 Click here to get the mentoring and support you need to make Waldorf homeschooling work for you and your family. This page contains some affiliate links for your convenience. You can read my full disclosure policy here. Christopherus Homeschool Resources Donna Simmons is a trained Waldorf teacher and homeschooling Mom. 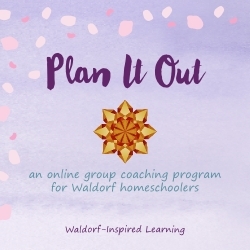 She offers curriculum for grades 1-5 along with a variety of unit studies, a Kindergarten guide, a very informative Waldorf Curriculum Overview, and audio downloads on various topics. Lots to check out on her site including a great article, “Waldorf 101.” Donna is currently downsizing and having a big sale. She will re-open her shop in January 2018 with a new pricing structure. Live Education! 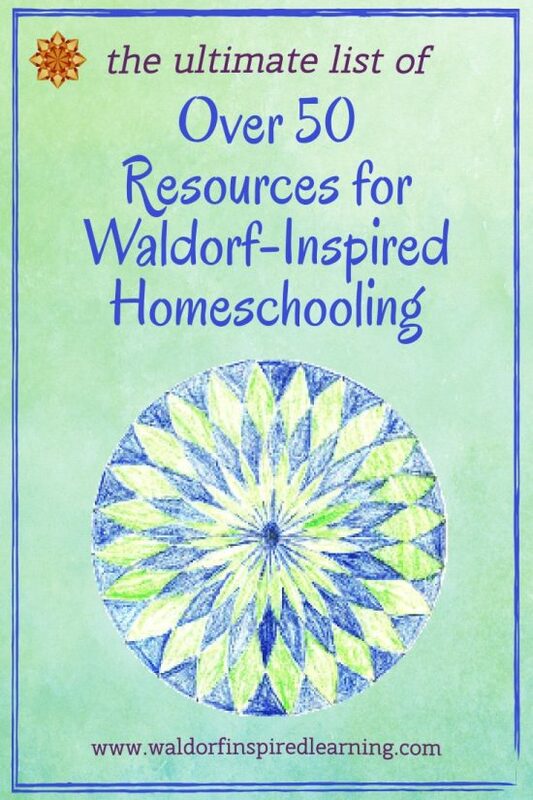 publishes curriculum for Waldorf homeschoolers and teachers for grades K-8. Lovely curriculum book sets for each grade that come with consultation. Must purchase entire grade package. Waldorf Essentials Melisa Nielsen is a Waldorf homeschooling parent who offers curriculum and support for grades 1-7 and an Early Years program. She also offers a training program for Moms called Thinking, Feeling, Willing. Lavender’s Blue Homeschool offers a kindergarten curriculum organized by the seasons, as well as first- and second-grade curriculum. These are complete weekly guides, with stories, song recordings and verses. Earthschooling Kristie Burns offers curriculum packages and lessons for grades preschool through 8th grade and high school as well. All lessons are created by a team of Waldorf and certified teachers and include videos, MP3s, and lectures for teacher support. Math By Hand Hands-on, interactive math kits for grades 1-4, made specifically for homeschoolers by a CA Waldorf teacher. Each kit comes with all the materials needed to make each project. Effective, fun and complete. Oak Meadow publishes homeschool curriculum materials for Pre-K through High School and has an accredited distance education school. Not purely Waldorf (lessons are not set up in main lesson blocks), but influenced by Waldorf. Waldorf-Inspired Learning This is my (Jean Miller’s) website and blog where I offer weekly inspiration through blog posts and a newsletter. I also have a Planning guide, an online coaching program Plan It Out, and I offer one-on-one Mentor Sessions. Plus so much more! I encourage you to have a look around. Waldorf Without Walls Barbara Dewey (my mentor) publishes many small, helpful books including one on Getting Started, a great Form Drawing book, and books on Handwork, Math, Watercolor Painting and more. Waldorfish offers Weekly Art Lessons, an online program of videos that runs September through May. Great for learning Waldorf art techniques right alongside your children. They also offer Waldorf Art for Beginners if you want to learn the basics of Waldorf drawing, painting, and chalkboard drawing. Taught by two Waldorf teachers who also homeschool. Celebrate the Rhythm of Life Lisa Boisvert-Mackenzie offers the Living Curriculum Program for early childhood that focuses on simple rhythms, songs, and verses; and eCourses to support and inspire parents and teachers. Here’s a link to an article about Homeschooling Getting Organized. The Waldorf Connection Donna Ashton is a homeschooling mother of twins. She offers training and support particularly for parents of young children as well as a Kindergarten and First Grade curriculum. 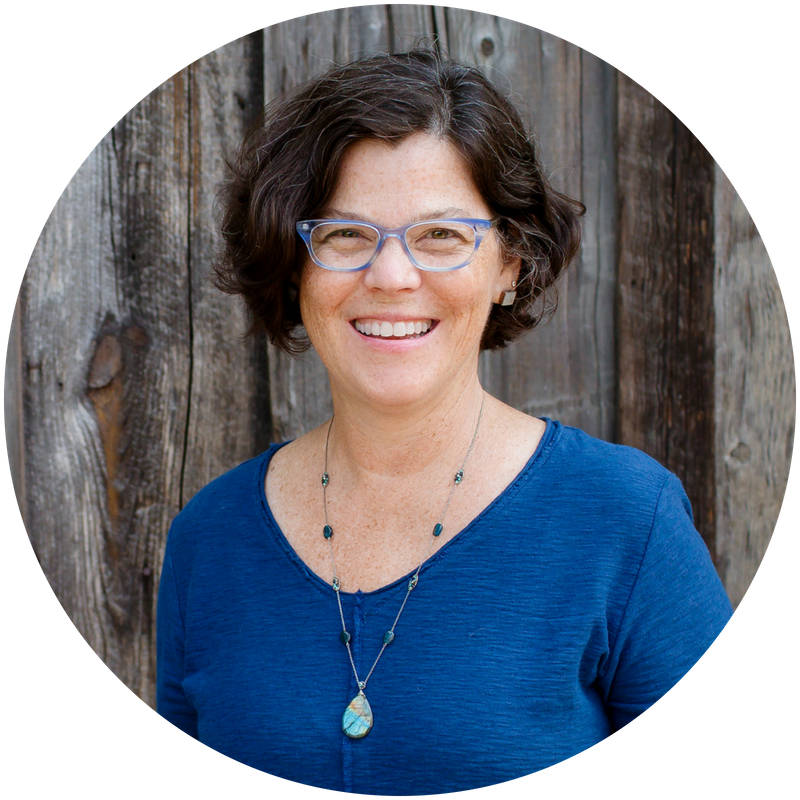 A Waldorf Journey Meredith Floyd-Preston is a mother of 3 teenagers and a Waldorf classroom teacher who blogs and podcasts about her experiences at A Waldorf Journey. She also offers curriculum and training materials for teachers and homeschoolers, and hosts a wonderful Podcast. 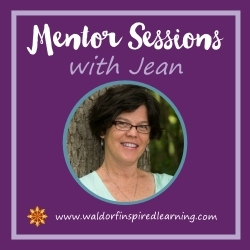 You can listen to my conversation with Meredith on her Podcast here: A Conversation with Jean Miller of Waldorf-Inspired Learning. Living Music Jodie Mesler has created a music curriculum called The Magic Flute for teaching penny whistle or recorder at home. Volume 1 is for the 6-year-old; Volume 2, for 7-9-year-olds. She also has Festival songbooks and CDs. Lemon Tree Press offers books by longtime Waldorf educator, Howard Schrager. Titles include LMNOP and King Maximo and the Number Knights. Syrendell Jennifer Tan is a fiber artist and Waldorf Mom who has handwork e-books for sale, among other things. Rick Tan is a Waldorf teacher and offers ecourses and workshops on chalkboard drawing and watercolor painting. Bravewriter “Supports and nurtures the homeschool family in the areas of Language Arts and writing from grammar school until college with online classes, home study courses and language arts programs.” Publishes magazines on individual fiction titles complete with dictation, narration and writing ideas for both elementary and high school. David Darcy has a great book Inspiring Your Child’s Education: A Holistic Curriculum and Teacher Training Guide as well as a book and CD on the pentatonic recorder. Jamie York Press Publisher of Waldorf math books for private, public and home schools, including the Making Math Meaningful curriculum and workbooks for each grade. This site also has wonderful Free Downloads of practice and review sheets, lesson plans, and math facts flashcards. Mollet Academy David Mollet offers “teaching Packs” based on the Waldorf approach to education, making stories and drama an integral part of the lessons and involving students through storytelling, art, simulations, drama, craft, discussion and creation of a personal record. Available packs include: Ancient Civilizations/World History, History of California, and Mathematics – Fractions and Multiplication Tables. If interested, scroll to the bottom of the page and contact David via email. The Baldwin Project “Bringing Yesterday’s Classics to Today’s Children,” The Baldwin Online Children’s Literature Project seeks to make available a comprehensive collection of stories for different grades for teachers and parents – folk tales, myths, legends, fairy tales. Its focus is on literature that is in the public domain, published between 1880-1922. A great resource for stories. Whole Family Rhythms Meagan at Whole Family Rhythm offers beautiful seasonal guides for families with young children as well as a Return to Rhythm online course. Join the free challenge to help you create a strong, balanced and flowing family rhythm in just 5 days. Wee Folk Art Patterns and crafts from three generations of crafters. They also have a free kindergarten curriculum plan with a simple schedule of story, activity, art and poetry for each week. Promethean Press Promethean Press aims to produce valuable aids to Waldorf Teachers in Music, Singing, Speech and Drama, Geometry, Child Development, Anthroposophy and other areas. Books of verses and recorder music from Waldorf teacher John Miles. Starlite Puppets is dedicated to sharing the art of storytelling through puppetry and live music. They offer a few books of stories and songs and puppet-making kits. Juniper Tree Puppets is a resource for puppetry and storytelling arts, exploring the art and archetype, the magic and meaning, the wisdom and healing of story and ensouled puppetry. They offer puppet making kits, story resource books, and trainings. Waldorf Curriculum This website includes free unit studies for kindergarten and the grades as well as tips on planning and an overview of the Waldorf curriculum. The Online Waldorf Library So many incredible resources here. Under Journals, you can find back issues of a newsletter published from 1967-1988 written by and for Waldorf teachers; back issues of Gateways: A Newsletter of WECAN; Renewal magazine and so much more. The website has a handy search feature. Rudolf Steiner Audio Offers MP3s and zip files of many books and lectures by Rudolf Steiner all for free to download or listen to on your computer. Rudolf Steiner Archive Steiner’s lectures, books, and articles can be read here online as well as summaries of his books. Why Waldorf Works “Everything You Need to Know About Waldorf Education” This is the new AWSNA site, the Association of Waldorf Schools of North America. Anthroposophical Society in America The Rudolf Steiner Library, founded in 1928, is the lending and mail-order library of the Anthroposophical Society (click on Rudolf Steiner Library in menu). Society members automatically receive library membership at no additional charge. The library has over 27,000 volumes. No Child Left Inside Coalition is a broad-based organization made up of more than 600 member groups from across the United States who believe young people should receive a strong education about their natural world. The Coalition’s focus is the passage of the federal No Child Left Inside Act which would authorize major new funding for states to provide high-quality, environmental instruction. Alliance for Childhood works on issues related to preserving childhood, including supporting the importance of play and working against the commercialization of childhood and high stakes testing. The Nature Institute’s mission is “viewing nature, science and technology in context.” They offer education programs and publications founded on the Goethean approach to science and nature. The Nova Institute The Nova Institute seeks to bring fresh insights into parent and teacher education through a deeper understanding of children. The organization was founded by Jack Petrash, author of Understanding Waldorf Education: Teaching from the Inside Out. If you want to see more ideas for Waldorf supplies, check out these suggestions here. Plan to Eat This is my absolute favorite menu planning tool that I’ve been using for over 4 years. An online meal planning program that stores all of your recipes, including those you find on the web, and allows you to drag and drop them into a weekly plan for meal preparation. Makes cooking at home and preparing family dinners so much easier. 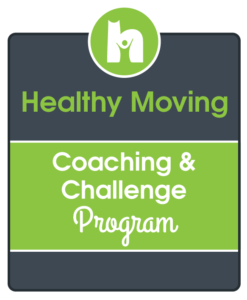 Healthy Moving This wonderful exercise program helped me recover from an autoimmune flare 3 years ago and I’ve been doing it ever since. Four 6-week challenges a year bring you a weekend online class and then daily challenges of just one movement that you repeat throughout the day. So easy, fun, and effective. Plus a super supportive community. Check out the Coaching & Challenge Program here. If you aren’t ready to commit to a program, get the Stress Relief Bundle here – a handful of video classes and a short practice. Health Journeys This has been my go-to for guided meditations. My favorite is Meditations to Relieve Stress. Includes both Affirmations and a Walking Meditation. Hello. My daughter 5, is needing to be enrolled this year in school. I live in California and plan to homeschool. I just don’t know where to start and how to execute this task. I even thought of Waldorf in Pasadena, but I live 40 minutes from there. Anyhow, can you give me a clue in baby steps? Do I need to contact the state? I need help, thank you. In regards to Waldorf-inspired homeschooling, I often suggest that newbies begin by reading either Rahima Baldwin’s You Are Your Child’s First Teacher and/or Jack Petrash’s Understanding Waldorf Education:Teaching From the Inside Out. Both books might also give you some ideas of activities you can do with your daughter as a way to bring some calm and connection to your lives while she is in school. Best of luck to you! I was curious about the Mollet Academy. There is no indication on the site as to where to purchase the Teaching Packs. Do you have any more info? Here’s the website: http://molletacademy.com/ Each website at the beginning of each listing is a link. You can click on that and it takes you to the site. There is some free material on his website. To purchase packets, I would suggest contacting David Mollet; his email address is listed at the bottom of the home page. I don’t have a high school list yet, but that’s a good idea! I’ll let you know when I have one put together, Penny. I found your site while looking for some ideas on beginning botany lessons and how to present the connection of plant to stages of development. I am very interested in your book and also mentoring. I have 3 children, 2nd 5th, and 8th grade (shes special needs). We have the live education curriculums for those 1st, 2nd, 4th, 5th, and 7th grades. And this is our second year homeschooling. Previous to homeschooling my kids attended a waldorf charter school so I’m very familiar with the teaching style but sand the ideas behind the teaching methods. My problem is trying to teach all 3 of them. Is that something a mentoring sessions could help with? I love Bruce Bischof but somehow when I get off the phone with him I cant put into practice what he talked about. I think my expectations of myself are too high. I am also having a diffficult time trying to keep up with CA state standards. Since we are with a charter homeschool program I have to show work of all subjects every 30 days or so. This charter enables the kids to have some extra curricular activites such as dance and art. Now I’m rambling. We are leaving for Hawaii at the end of this week but I think I will be purchasing your book when we get back. Thanks for being in touch, Amber. Homeschooling multiple ages is challenging for sure! I have suggestions for ways to approach this in my Planning guide, and you’ll be happy to know it goes on sale this week! Instead of $27 it’s $21. I’d also suggest you watch the webinar I did on Waldorf Homeschooling with Multiple Ages. Hello!!! What a beautiful and amazing website. Thank you so very much!! I am wondering which of the mentioned curriculum you think is the best for Waldorf homeschoolers. My kids are still young but I want to start educating myself so I am ready when the time comes. Which is the easiest to follow and most like Waldorf. We are super nature loving outdoor people, so that’s a must as well. Such a great question! And it’s difficult to answer because of their differences and people’s personal tastes. I get this question a lot and I start my answer by saying that there is simply no such thing as “open & go.” We still need to do the work to make any curriculum our own. And the choice of which curriculum also depends on ages of children and how many we are homeschooling. I’ve also found that some curriculum is better for some years and other for others! I will say that personally, I have used both Christopherus and Live Education! at different times most successfully. It’s important to also remember that you’ll never use all of a given curriculum, only some percentage of it, so keep that in mind when you consider the outlay of funds. Hope this is helpful and all the best! Waldorf homeschooling really is a journey and one that is well worth the time and effort involved. Thanks so very much! My kids are 2 and 3, so very young now…but I am implementing all Waldorf philosophies already. I was wavering between Christopherus and Waldorf Essentials. Oak Meadow is too academic for me, for Kindergarten. I will check out Live Education too! What are your thoughts on Lavender Blue? I really want something that spells it out for me and then gives me independence from there, if that makes sense!! Thanks, love your site. Going to get your book too and will likely need mentoring! I’ve never used Lavender’s Blue personally becuase my children are much older and this one is fairly new on the scene. But I do have friends who’ve used it and like it. Have you read You Are Your Child’s First Teacher or Heaven on Earth? Those are great books you might want to start with if you haven’t read them yet. You can probably get them at your local public library as well! I do and I LOVE those books!!!! I actually haver been reading up on EARTHschooling and it seems very up our alley with bringing nature to the classroom, teaching herbology, etc….What are your thoughts on this curriculum? Thanks so very much! I also love A Child’s Seasonal Treasury for poems and seasonal activities. While I love the Earthschooling philosophy, the curriculum wasn’t a great fit for us. But curriculum choice is a very personal one. I never tried their early childhood program. I didn’t use curriculum at that age, just focused on developing a strong rhythm, lots of time playing outside, and stories and songs. I actually think money is better spent on great books for us to learn about Waldorf and for songs and activites like those mentioned when our children are young. Hi, I am running a homeschooling centre in Puchong Selangor, Malaysia. I know waldorf a few years ago. I would like to bring in this program to my centre. How should I start. Who should I communicate with. And licensing fees? That’s so exciting that you are running a homeschooling center in Malaysia! I would guess that you need to find out what the local regulations are. For both homeschooling and for childcare centers. I’m not familiar with regulation specifics there. 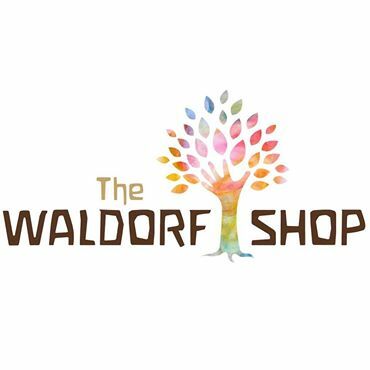 I do have lots of information on this website about how to bring the Waldorf approach to children. 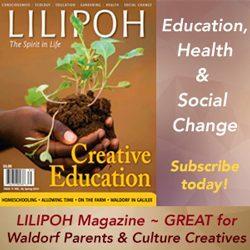 You might want to check out the article Just Starting with Waldorf Homeschooling? Wishing you all the best as you serve your local community in this amazing way. Thanks,I was curious about the Mollet Academy. There is no indication on the site as to where to purchase the Teaching Packs. Do you have any more info? Thanks for the question about Mollet Academy. David still sells these but only if you contact him via email here: Dr. David Mollet, davidmetis@gmail.com.